With Christmas around the corner, this month’s headlines present a main article on savvy long-term investment strategies, the unwanted gift of a rise in the State Pension age and information on a probate fees hike which is as divisive as soap-on-a-rope — more welcome for some than others. Take some time out from your shopping and dip into our financial selection box. Market corrections like last month’s Red October can cause investors to panic and withdraw. So this month’s main article explains that it’s crucial for long-term investment success to stick to your guns and why ‘time in the market, not timing the market’ is best. The State Pension age for women has risen to 65 and is now on par with that of men, with a further rise to 66 for both sexes slated for 2020. The move means that 3.8 million women born in the 1950s will have to wait a further six years before receiving their pension, causing considerable concerns. The Government has announced that from April 2019, probate fees paid on someone’s estate after they pass away will be charged on a scale according to the estate’s value, instead of a flat fee for all. There’s nothing payable for estates worth less than £50,000, but those worth over £2 million will incur maximum fees of £6000. By the time we deliver next month’s headlines, Santa will be setting up the satnav on his sleigh. But please contact us or call 01204 526846 to chat about financial matters in the meantime. Please be aware that by clicking any external links in the article above, you are leaving the Chancellor Financial website.  Please note that Chancellor Financial Management takes no responsibility for the accuracy of the information contained within the linked site(s) accessible from this page.